Gregorio Vardanega of Italian origin (1927-2007), moved to Argentina as a child with his family. After studying at the School of the Escuela de Bellas Arte in Buenos Aires. he turned to geometric abstraction and joined the group Arte Concreto in 1946. During his stay in Paris from 1948-49, he met with Carmelo Arden Quin, he had a life changing meeting with Belgian sculptor George Vantongerloo founding member of De Stijl group whose cosmic works deeply marked, just like Max Bill and Pevsner. In 1950 he exhibited at the Salons des Réalités Nouvelles, at Colette Allendy and alongside the MADI group. 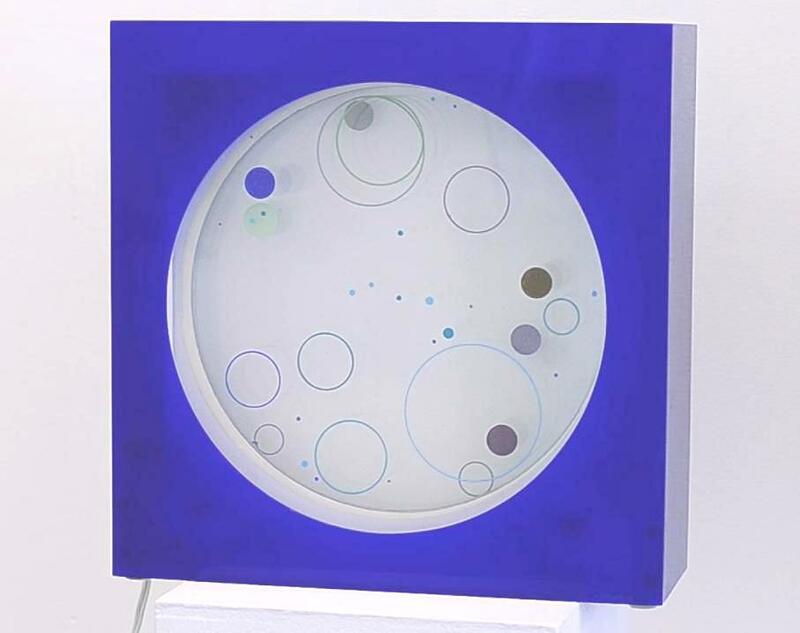 Vardanega moved to France permanently in 1959, he directed his research towards "chromocinetism", a term that refers to his interest in the dynamism between color and light. He became instrumental in this movement of optical-kinetic art and participated in many important exhibitions, such as the 1967 “Lumiere et Movement” show at the Museum of Modern Art in Paris. 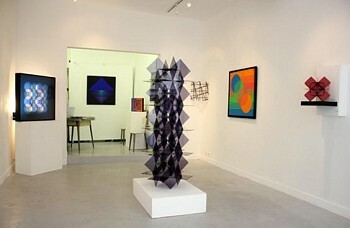 As well as the exhibition he had at Denise René gallery in 1969. His use of electric color is based on the fact that the visual and sensory impact is much greater and effective than pigmented color. Vardanega’s reliefs are comparable to bright checkerboards are animated by flashes that actively solicits the viewer attention. Vardanega is in many renowned private and public collections around the world.